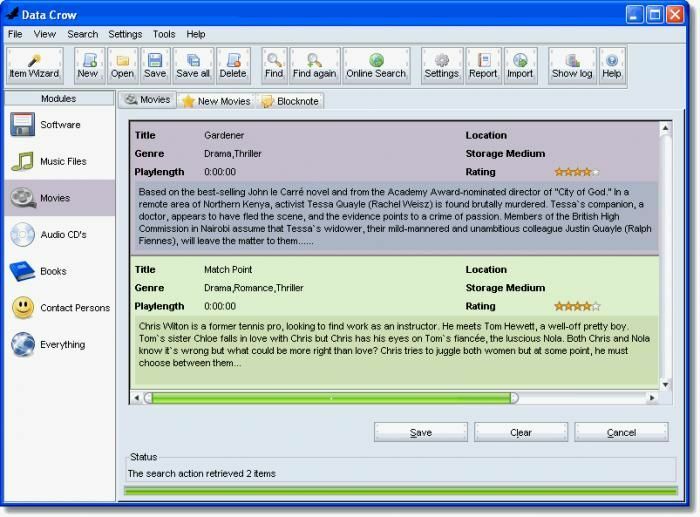 Data Crow is the ultimate media cataloger and media organiser to manage all your collections in one product. Using Data Crow allows you to create a huge database containing all your collected items. You can use the excellent online services to retrieve the information instead of typing all the information yourself. 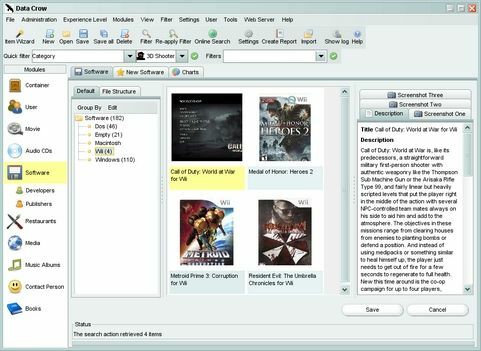 Audio, software, book, movie and photo collection cataloger. Data Crow runs on any system where Java 1.6 (or higher) from Sun is installed.